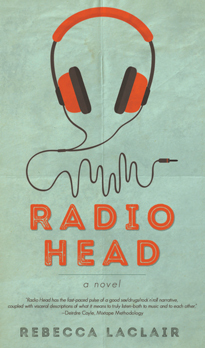 Bainbridge-based author Rebecca Laclair’s first novel Radio Head (2015) is a science fiction/fantasy story of one girl’s secret gift and the power of music. Shelby Rey can hear people like a song and be in tune with their hopes and secrets. Zac Wyatt, the lead singer of a world-famous rock band, realizes that Shelby's unique gift can help him fulfill his deepest ambition — to upstage the band's current song writer and achieve fame as solo artist. For more information on this author please visit www.rebeccalaclair.com.